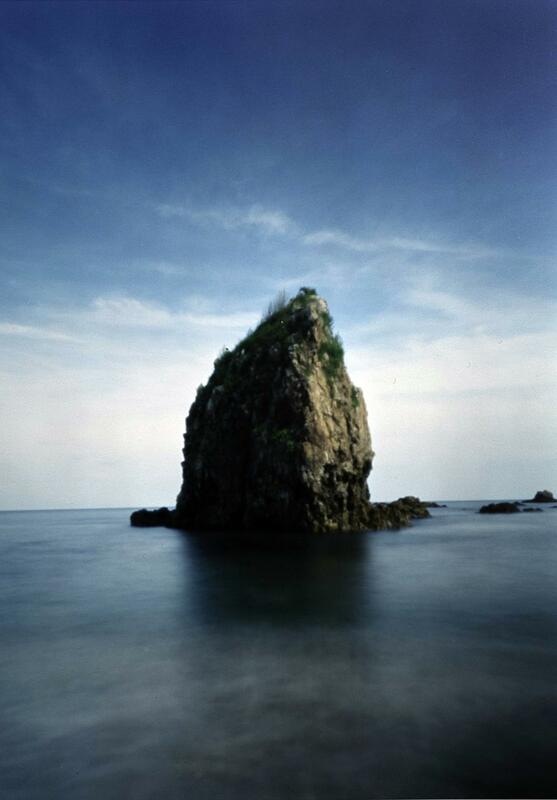 The picture is framed with museum glass It’s a silent and open sea that the Japanese photographer Yuki Seli presents. An element which is part of himself and becomes research and portrait of his most inner feelings. His landscapes let us perceive the sea more than see it. It’s its absence more than its presence to be felt as the main character, translating in a photographic image the fascination and impact of monochromatic ink landscapes of the Japanese painting tradition. It’s a quiet and comfortable sea and, at the same time, a mysterious and far one also in the photos Seli shoot immediately after the tragic events of 11th March 2011 that destroyed human traces.